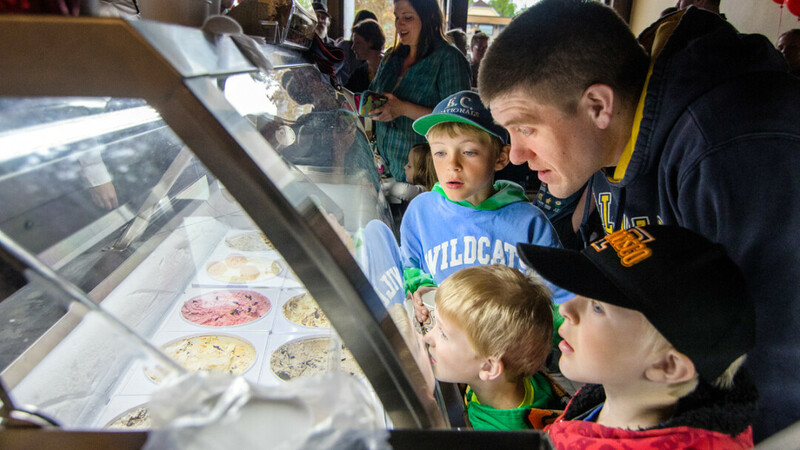 Ramone's is an old-fashioned ice cream parlor serving hand-dipped cones made from award-winning Chocolate Shoppe Ice Cream – whose Old-Fashioned Vanilla was named the Grand Champion Ice Cream at the World Dairy Expo in Madison – as well as malts and pies from Sue's Deluxe Bake Shop. Nothing can beat a couple of scoops of your favorite flavor in a fresh-made waffle cone! Ramone's was chosen as the Best Restaurant for Dessert by Volume One readers in both of its first two years of existence, and was also named Best Business, Best New Business, and Best New Renovation by voters in the 2018 Downtowny Awards.